The Nashville Predators travel to Honda Center to play the Anaheim Ducks on Saturday in Game 5 of the Western Conference Finals. The series is tied 2-2. The opening line for this game has the Predators at +100 and the Ducks at -120. Nashville had a regular season record of 41-29-12 and on the road they had a record of 17-20-4. They finished 4th in the Central Division. They've scored 240 goals and given up 224 goals for a point differential of +16. For the season they have an ATS record of 39-41 and an over/under record of 41-35-6. Anaheim finished with a record of 46-23-13 including 29-8-4 at home this season. They were 1st in the Pacific Division. They've scored 223 goals and surrendered 200 for a goal differential of +23. Their record against the spread is 42-36 while their over/under record sits at 28-36-18. Ryan Johansen has accumulated 61 total points this season for the Predators. He has 14 goals this season with 154 shots on goal giving him a shooting percentage of 9%. He has a total of 47 assists on the season and averages 18.8 minutes played per game. Viktor Arvidsson has averaged 17.2 minutes of ice time per game this year. In that time he has a shooting percentage of 13% by scoring 31 goals on 246 shots. He has 30 assists giving him a total of 61 points on the season. Pekka Rinne has 31 wins and 19 losses this season in net for the Predators. He has had 1,757 shots against him and has given up 144 goals. He has made 1,613 saves for a save percentage of 92%. The Predators have 94 total points this season. They have scored 240 goals while giving up 224 goals. They have had 259 power play opportunities and have scored 49 goals on those chances for a percentage of 19%. The Predators have allowed 241 power play opportunities and given up 46 goals on those chances for a penalty kill percentage of 81%. They average 31 shots per game and as a team are shooting 9.39% for the season to this point. They allow 30 shots to their opposition per contest and have a team save percentage of 91%. The Ducks have a total of 105 points on the season. They have 47 power play goals on 251 opportunities thus far for a percentage of 19%. They have allowed 281 power play opportunities and have given up 43 goals on those chances for a penalty kill percentage of 85%. As a team, the Predators have a total of 223 goals scored while they've given up 200 goals to this point. They average 30 shots per contest and have a team shooting percentage of 9.20%. As a team they give up 30 shots per game and have a save percentage of 92%. Nashville has a Corsi percentage of 51.1% as they've attempted 4,776 shots on net at full strength while they've given up 4,570 shots on net in the same situations. Their Fenwick percentage is at 50.6% as they have 3,545 attempts while they've given up 3,460 shots on the defensive end. The Predators start possessions in the offensive zone 50.7% of the time while their defensive zone percentage is at 49.3% for the season. They have 2,599 face off wins compared to 2,453 losses, meaning their faceoff win percentage is 51.4%. On defense Nashville has 1,660 hits and they've blocked 1,110 shots from the opposition. 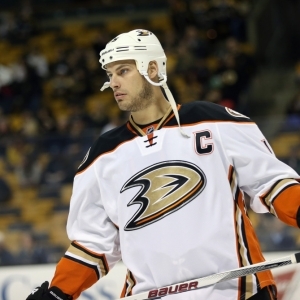 Who will win tonight's Predators/Ducks NHL game against the spread?